Trying to find the perfect gift for the vaper in your life can be tricky. If you find yourself on an e-cigarette site, you’re suddenly confronted with terms like clearomiser, cartridge, rechargeable device, and so on. With all the various terminology and different devices, it can get a little overwhelming. To help out we’ve put together a guide for non-vapers on what all the vaping terminology means and what all the component parts do. There are two main types of e-cigarette – Open and Closed System e-cigs. These terms refer to how the e-liquid (which we will come onto later) is vaped. For more information on the differences between Open and Closed System e-cigarettes, take a look at our blog. The best way to check which e-cig your partner, friend or family member has is to look on the side of the device. If the e-cig has a clear window on the side, then it’s an Open System e-cigarette. The clear window is a part of the Clearomiser, and only Open System e-cigs use Clearomisers. 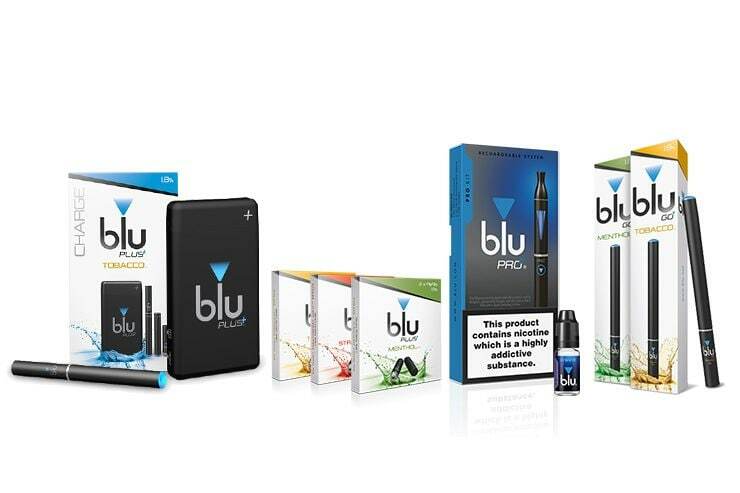 blu’s version of the Open System e-cigarette is called the blu PRO® Kit and comes with all the component parts needed and a bottle of Tobacco-flavour e-liquid. If the e-cigarette does not have a clear window on its side, it’s a Closed System e-cig. Some Closed System e-cigs use tanks to hold the e-liquid and these can be unscrewed and detached from the device. The other kind of Closed System e-cig is a disposable. These have no removeable parts and so cannot be taken apart; all the e-liquid is already contained within the e-cig. Checking whether the tank can be unscrewed or not is the easiest way to tell these two apart. The blu PLUS+™ is our model of the Closed System e-cigarette and is available either with a compact case or with a case that charges the e-cigarettes. The blu PLUS+™ range is compact and easy to carry. E-liquid is the liquid inside an e-cigarette which is turned into vapour by an internal heating element. Without e-liquid, an e-cig cannot work so it’s an important part of any vaping experience. E-liquid comes in a variety of flavours and strengths all of which are explained in more detail here. Identifying the flavour of e-liquid that your friend or family member uses is simple enough as it will be written clearly on the bottle. As for the nicotine strength, this amount is usually depicted on the side of the bottle as a percentage. This value can vary from 0% (i.e. nicotine-free) to 1.8%. Nicotine strength can affect a vaping experience, so if you need any assistance identifying e-liquid strength contact our Customer Service Team. As with many other products, the various parts of e-cigarettes need replacing over time, but this doesn’t necessarily mean you need to get a brand new e-cig. Sometimes you only need a spare part, and that’s why we offer a number of these parts to save vapers the hassle of buying multiple e-cigarettes in a short space of time. These products include rechargeable devices, clearomisers and USB chargers. These products can be used to replace an old or broken part of an e-cigarette or act as a spare in case one of these parts is lost.